One of the many things I love about contributor Anthony Boutard and his wife, Carol, of Ayers Creek Farm, is that they approach their work as farmers deliberately yet with a sense of whimsy, and work hard at not only pleasing their legions of fans, but themselves, as well. The midden heap, the proto-compost pile of prehistoric settlements, is the first stop for archeologists. The bone fragments, chewed plant remains called "quids," shells, obsolete tools, and seeds tossed upon the heap provide insights on a culture's food habits, trade and other aspects of life before we started chronicling it all on tablet and paper. The midden was also the likely first stop for agriculture – a fertile incubator for the domestication and cultivation of plants. The concentration of organic matter and minerals yielded tender and flavorful vegetables close at hand, initially by chance and later by design. Those of you who have been tossing this winter's squash seeds into your backyard compost may have a knot of vines emerging among the potatoes and other kitchen scrap survivors. Composting is, in some respects, a reenactment of early agriculture. In archeological excavations, the squashes and pumpkins that emerge from your compost show up as the oldest domesticated plants in the Americas. In the neolithic age, before the development of pottery, they were collected at large for use as vessels for water, seeds and fruits. Around 6,000 to 9,000 years ago, cultivated forms of these cucurbits start to enter the archeological record. They were still the hard shelled cultivars used as containers, but the selection, planting and cultivation of the now larger fruits also yielded much larger seeds, one hallmark of domestication. Even with the advent of pottery production, light and durable squash hulls remained important vessels. With domestication of the plant, squash and pumpkin seeds found their way into the American diet. They are flavorful and very nutritious. In Mexican and Central American cookery, the seeds are still used extensively in stews, soups and sauces, most famously in moles and pozoles. In Mexico and Central America there are dozens of local varieties with a range of flavors and seed sizes. Members of the Cucurbitaceae contain extremely bitter toxins called cucurbitacins in their foliage, flowers and fruits which delayed the use of the other parts of the plant as a food. In addition, the early pumpkins had very fibrous flesh, essentially the unadorned vessels leading from the plant to the seed. Eventually, in the protective custody of the plants' cultivators, the toxins no longer conferred an advantage and non-bitter cultivars emerged. These developed into the modern zucchini, crooknecks and winter squash we bring to market, where the vessels are surrounded with soft pulp. 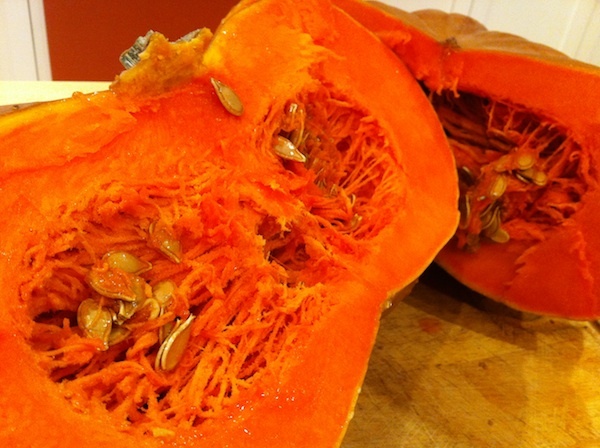 The squash and pumpkins bearing edible fruit were favored by the indigenous people of North America. Further south, the seeds, tendrils and flowers are still preferred over the fruit. Like potatoes, peppers, corn and tomatoes, American squash found a place in European and Asian cooking. For the most part, the fruits and flowers are used. In the Austrian state of Styria, special pumpkins are grown for their seeds, which are roasted and pressed for oil. Towards the end of the 19th century, a Styrian pumpkin without a tough seed coat appeared, making the task of pressing oil more efficient. Although they are typically called naked seeded or hull-less, a papery vestigial seed coat remains. Kakai and Lady Godiva are the naked seeded Styrian pumpkin varieties commercially available in the United States. Three years ago, we purchased a package of "Brand X" pumpkin seeds for pozole and we were disappointed by their quality. They were expensive, stale, and most of the seeds were broken. Our disappointment led us to conclude that, as we were growing all of the other pozole ingredients, why not the pumpkin seeds? The following spring, we planted both hull-less varieties. Mice managed to find every seed in the Kakai row, but a few Godiva were missed and we harvested a small crop. The harvested seeds were orders of magnitude better than the Brand X sorts, but still expensive as the seeds were time-consuming to extract and clean. This year, we planted Kakai again and we refined the extraction process. 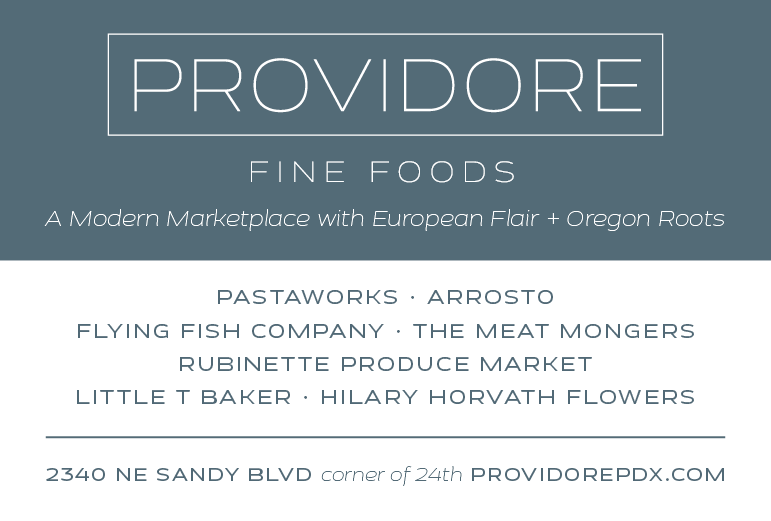 We will have some of this year's pumpkin seeds this Sunday, close to Brand-X pricing. The commercially available seed for Kakai is not well maintained, posing a challenge to the farmer. There is a huge amount of unproductive variability in the grex (breeding population). Some fruits have a high percentage of split seeds and their size varied tremendously (top photo; bad pumpkin, right; good pumpkin, left). Some of the plants were bush types, and others vining. As we worked through them, we noticed the giant fruits had no more seeds than those a quarter of their size, just more useless pulp. There was variation in seed flavor from fruit to fruit, but for the most part it was consistently good. The serious problem was the number of fruits with split seeds, roughly 50%. The split seeds had started to germinate in the fruit and had an unpleasant bitterness. We now have a rough idea of the beast at hand, and next year we will be working on selecting the best pumpkins for seed. 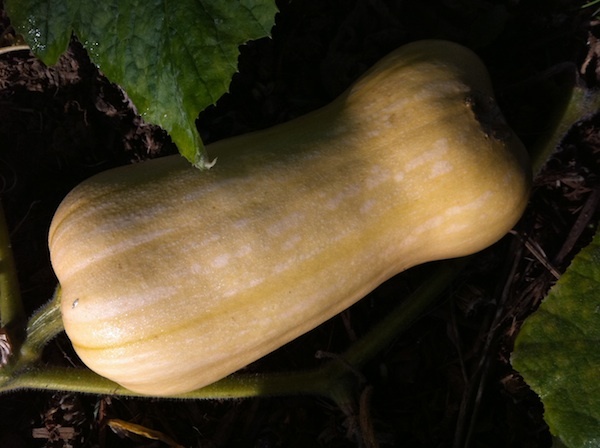 We will plant the Kakai in an isolated section of the farm so there is no cross-pollination with other squash types. At harvest, we will mark the fruits with a plant number and, after they have cured, start the process of selecting seed from those with good characteristics. Initially, we will focus on small fruits without split seeds. We expect it will take several years to rework the variety. If we are successful, we will sell a very good pumpkin seed that makes financial sense to grow and harvest. The process of drawing out favorable qualities from seed as described above is just the same as when a person selected the better seed among the plants sprouting on the midden heap, or the sharp-eyed Styrian farmer who happened upon a fruit with naked seeds and worked on its improvement. Patience and careful observation is what it takes. We have a big advantage because we will be building on dedicated work and expertise of the midden heap and Styrian farmers. About your Styrian pupkin trials. I bought a few 'kakai' seeds from an organic grower here in northern calif. We have very hot, long growing seasons with temps in the triple digits lasting for days at a time. These pumpkins fared excellently.Vines and fruit growing the described length and size. As to the history of the 'Kakai' variety. I beleive it is a misnomer of some sort as I can find no evidence of this particular variety. From whence it came, Def a variety of curcurbita pepo.subsp pepo var 'Styriaca. Who named this pumpkin, or bred it or did anything with it is a mystery. As Glenn notes, the growing of pumpkins in Styria and surrounding areas for their seed oil goes back to the 18th century. 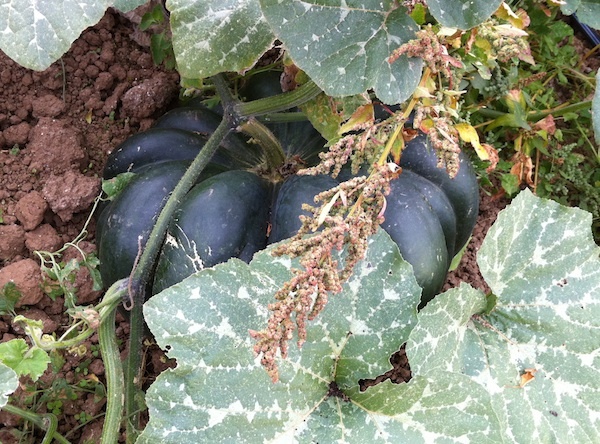 They initially cultivated a similar pumpkin but it had a hull, or seed coat. A mutant form lacking the woody seed coat was found around 1870, and this seed was easier to press for oil, and became the standard pumpkin for oil production. The Styrian pumpkins with naked or hulless seeds all descended from this mutant form. As with every other horticultural crop, breeders, farmers and gardeners select and name varieties with abandon. Farmers selected fruits that had the highest oil content, often giving them the names of their village, town or region. There are other types of pumpkins still grown in the region that have hulls, and the flesh of these is used. Over time, the flesh of the hulless types became stringy and basically inedible. 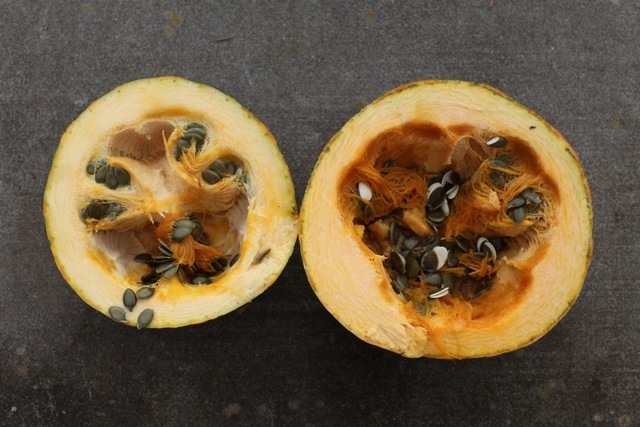 In the early 1970s, a Styrian pumpkin with hulless seeds was brought to the US by Allen Stoner of the USDA. I believe the variety was 'Gleisdorfer Olkurbus'. The first commercial release in the US was called 'Lady Godiva.' Other cultivars followed. I first encountered 'Kakai' in Johnny's Selected Seeds around 2008, as I recall. Other seed companies carried it as well. It is a recent variety, possibly released by a Japanese seed house? It is an inscrutable variety name, but there is no law or naming convention against that. The other hulless Styrian varieties in commerce, include 'Snack Jack' and 'Triple Treat'. I will take 'Kakai' over these names, thank you. Uprising Seeds sells a variety simply called 'Styrian'. The differences between these varieties are slight in my opinion. The last time I looked, the USDA GRIN database only listed 'Gleisdorfer Olkurbus'. As I noted in my essay, 'Kakai' as a variety is a bit rough around the edges, and we have been working to improve its quality. We harvested 500 fruits this year and with staff's help we selected about 20 as suitable for year's seed.